Looking good! Too bad I'm so broke right now, I would LOVE to get that software! I'm lookin froward to seeing the Swamp Rat. I was standing on the starting line when Garlits crashed S/R 31 in Spokane. Your track looks like it's coming along good! I got a start on mine, got my hands on two of the AFX Tri Power power packs and the starting and finish lines from a John Force set along with the Parma 35 OHM controllers I already have gives me a good start. Now to decide whether to make the track out of Sintra or MDF. Not a problem with racing Pro Mod Ron. The 49 Merc is awesome and the 41 Chevy looks good to. Need to study some pics of the real cars and figure out what kind of look I want. TMG2054 cool to have been that close to one of Big Daddys rides. Thanks for checking out the Blacktop, more pics to come. Well I have been busy here at the Blacktop Raceway. Getting ready for the new racing season in 2012. I got start tuning those race cars to do better than last year. Things look like they are shaping up good in Plano at the Blacktop Raceway. Wanted to say thanks, was packing up car for PA. race and found a sweeeet looking Willy's Pro Mod. Check that bubble wrap good guys, learned my lesson. You are welcome, I am glad you like it. I have been busy with new molds, two more new Pro Mods. Well another test n tune this Sat. with Angry Jeff and maybe Neal if he get's of work in time. Got our cars down by several tenths from where they started. Trying different size tires and recording times. No Dyno info yet, later today maybe. First have to do some casting and painting. Well time to start working on new Door Slammer for next race. Retune the Grim Reaper and design new graphics and paint for new 55 Chevy Pro Mod. Just finished another set of silicone foam tires .545 dia. will test these out on the Grim Reaper. 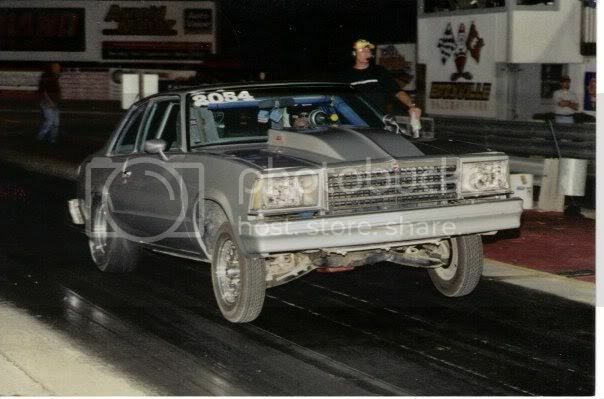 That is my Pro Mod 59 Cadillac Hearse. WOW! I just realized 6 post here no comments. I am talking to myself. Hey Eagle, the .545 you mentioned are they legal for our NTRA 4g's. Forget the sizes right now. pceng, if I remember right max is .550" dia. in doorslammer class. In the Top Fuel dragster class it is larger. I have some smaller sizes built, just have to test them with setup. The Grim Reaper comes in for a tune up. Getting ready for Spring Nationals. Click the Pic. The Grim Reaper comes in for a tune up. Getting ready for Spring Nationals. Grim Reaper and Blue Steel, sounds like a formidable race team. You'll be one to watch at the Nationals. Great work!, Diggin' that lightning. Today the Blacktop Raceway gets new stone walls the entire length of the timed raceway.